Overlooking the tranquil Atlantic's blue waters, this Ocean Club private residence sits at the geographic tip of Key Biscayne. 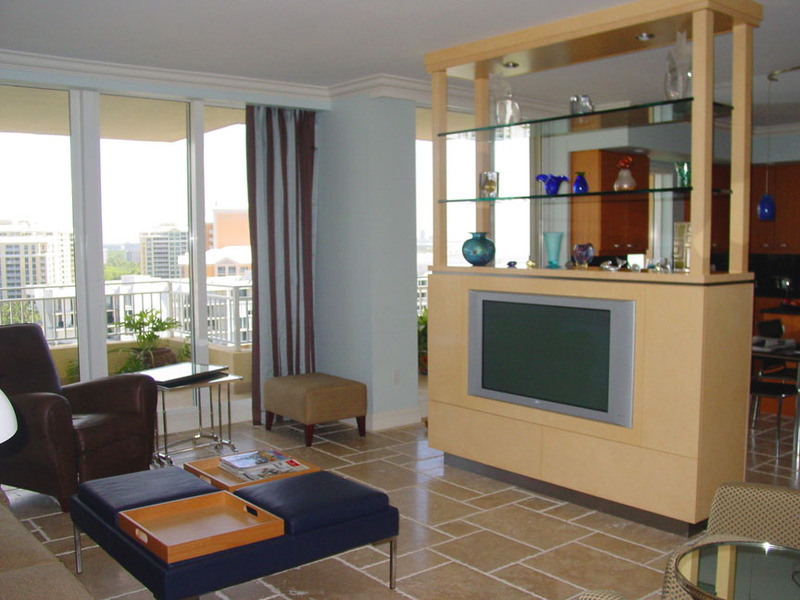 The full floor condo views both downtown Miami and Key Biscayne’s pristine beaches. Exiting off a private elevator, tumbled travertine flooring, custom glass entry door, sparkling pendant lighting and European-crafted Venetian plaster greet each visitor. 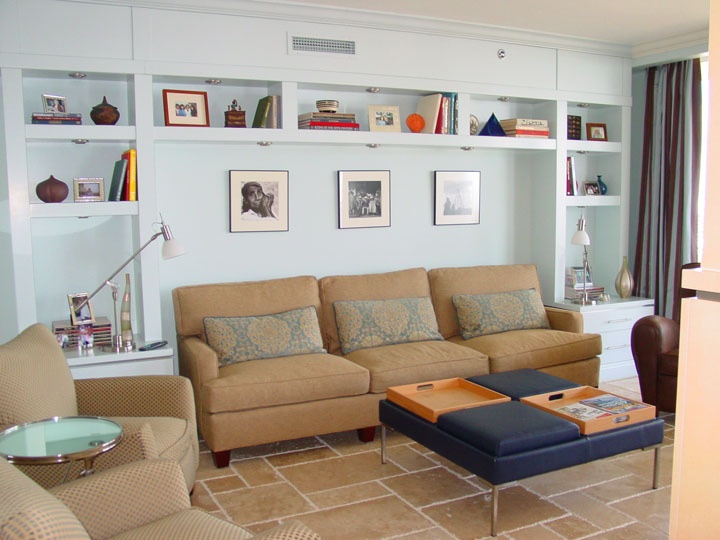 Uplifting blues and energetic metals and leathers were used in the kitchen and family room areas. Entertainment, display and storage units were designed with the owner’s glass and art collection in mind; and orientated to admire downtown Miami skyline views. In the elegant and more formal Living room side of the sprawling condo, featured custom millwork showcases rare books, art and framed photos. 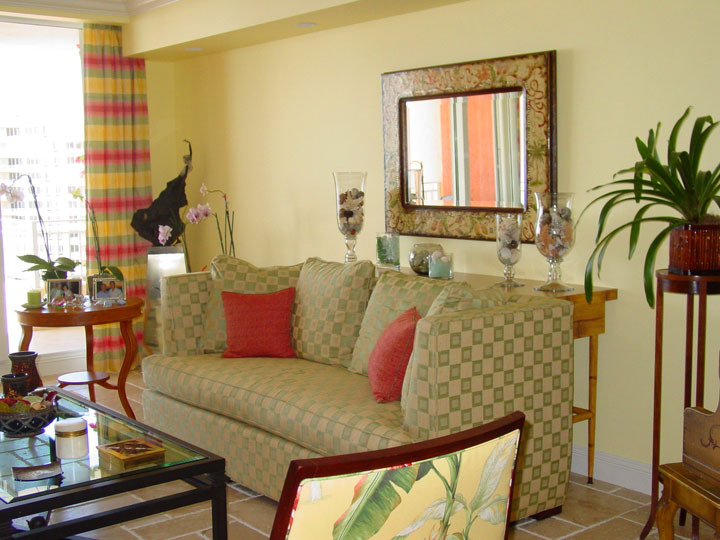 Ocean views were enhanced with a rich palette of light tropical colors, fantastical fabrics, and locally fabricated mirror frames. The owners’ orchid collection and antique piano were the design inspiration for a vibrant color scheme. Creating a connection between old and new defined the design intent and theme. Using several of the owner’s heirloom pieces; refreshed by the playful vibrancy of Miami, created a brilliant synergy throughout this residence.